Following a Ketogenic or Low Carb diet doesn’t necessarily mean spending more on your groceries. 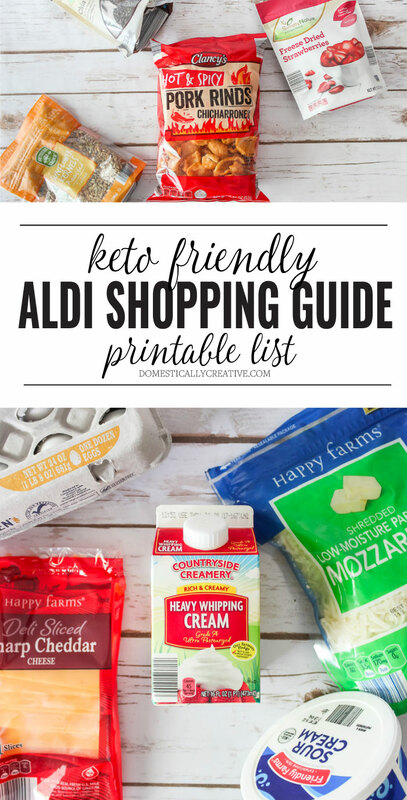 I’m sharing my favorite foods to pick up for cheap in this Keto and Low Carb Aldi Shopping Guide! My husband and I have been eating Keto for the last year! Can you believe it’s been that long?! Even crazier to believe is that together we have lost 140lbs! That is an entire adult that we’ve shed between the two of us. Everytime I look at my husband now I just can’t believe he’s lost over 100lbs. It’s crazy to even picture him with an extra 100lbs on him, and I know just how much healthier we are without that extra weight. We both have so much more energy, less aches and pains, and we sleep better. Ok well he sleeps better, I still some days have a hard time shutting my brain off at night, but once I’m asleep I sleep better. Anyway, you’re not here to read about me and hubby, you’re here because you want to know what the best foods are to buy at Aldi when you are following a keto diet right? 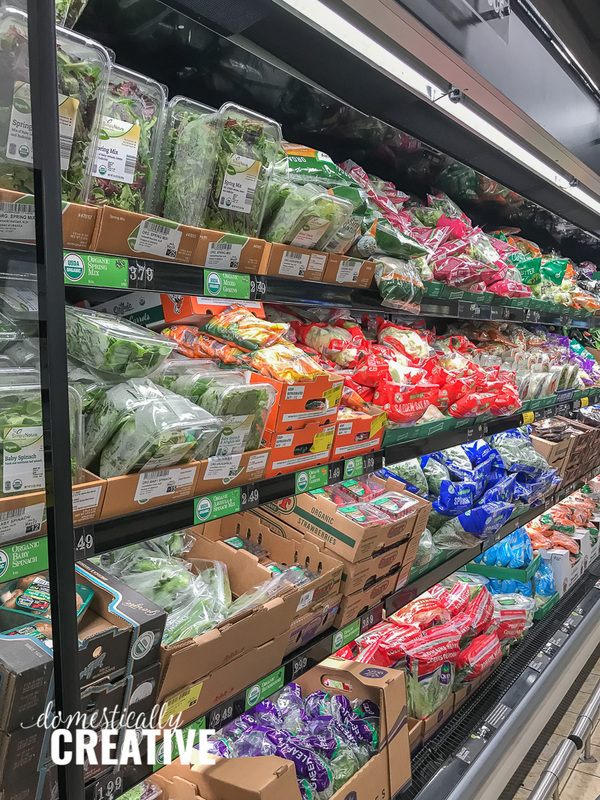 Just because you are eating more meats and vegetables doesn’t mean you have to spend more money at the stores. 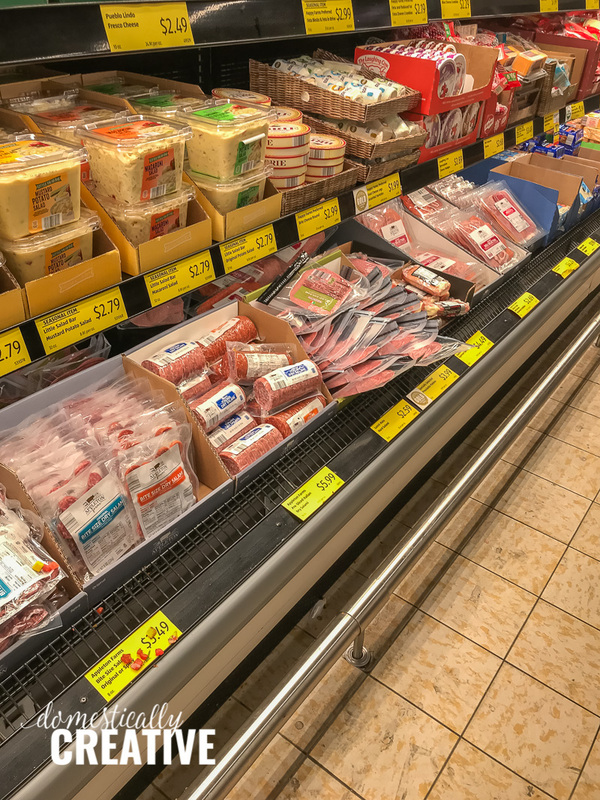 I actually find that we spend less money on groceries than we did prior to Keto. The big way we save on our grocery bills is by getting the majority of our foods and produce at Aldi. For those of you that don’t have one around you I feel your pain! I went without shopping at Aldi for 4 years while we lived in Texas and I missed it dearly. But in that time, Aldi has really stepped up their game and are carrying so many more brands and products to fit into just about any diet. They even have a whole Gluten Free section now which is awesome. There are some things we don’t buy at Aldi, but it’s more because of a brand preference than anything. 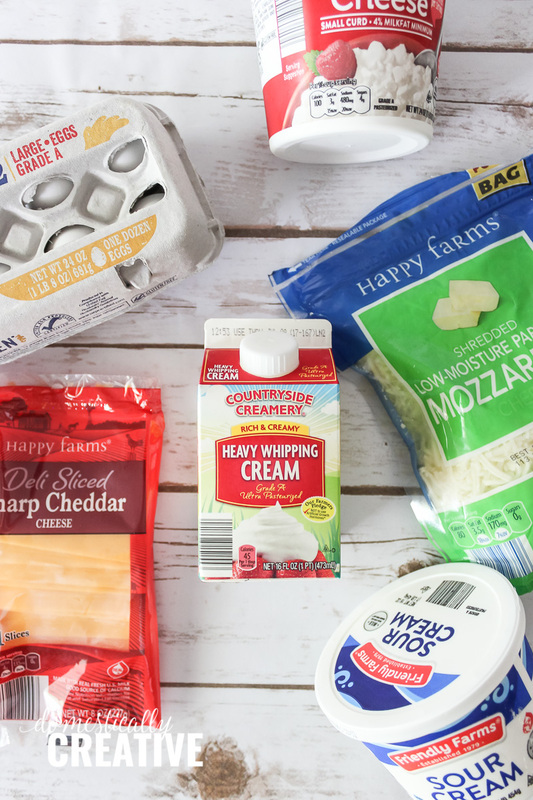 You can check out my favorite low carb pantry items to see what we buy when it comes to protein powder and baking goods. Butter–My Aldi even carries Ghee sometimes!!!! Peanut Butter–watch the ingredients, should be only peanuts and salt! Freeze Dried Strawberries–the entire package is 20g NET carbs, so popping a few when you are craving something sweet or adding to a protein shake is great! Canned vegetables–fresh is always better with less sugar, but sometimes a girls gotta grab a can! French Onion Dip–to dip those pork rinds into!! 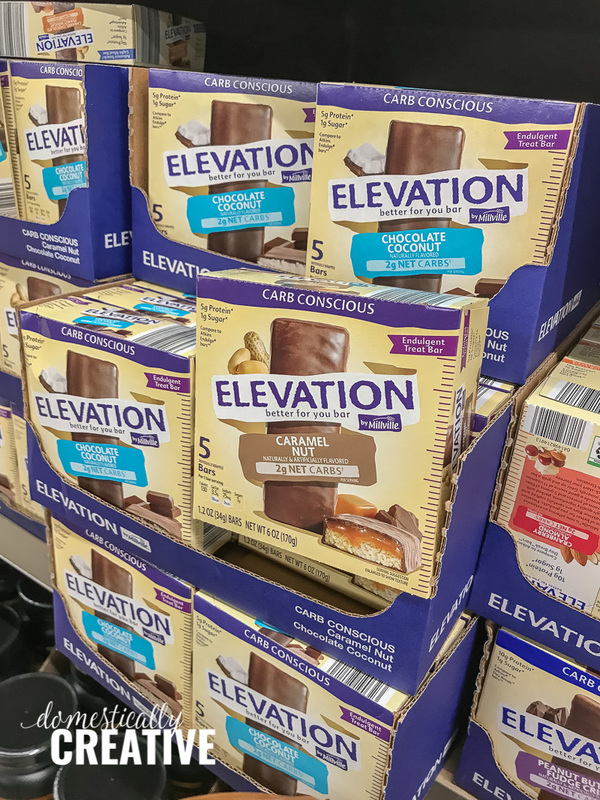 Carb Conscious Elevate Bars–the sugar alcohol in these can cause some serious stomach upset if you are sensitive so beware! 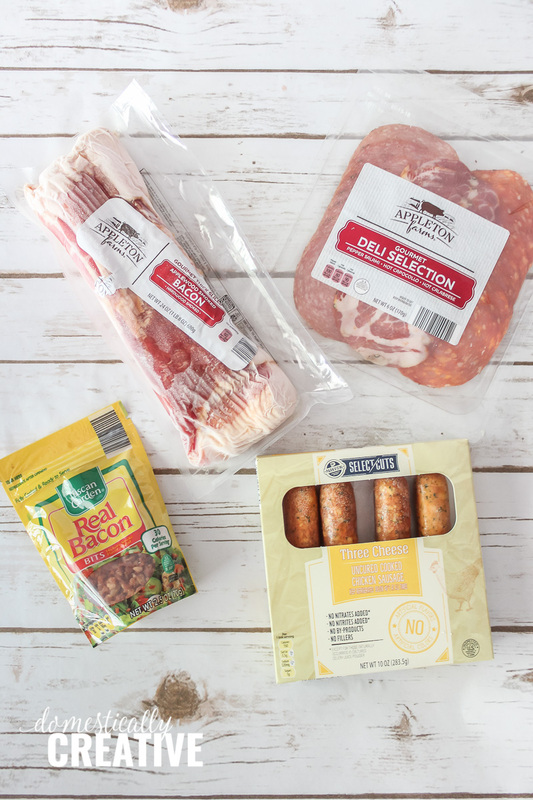 What are some of your favorite Keto Aldi products? 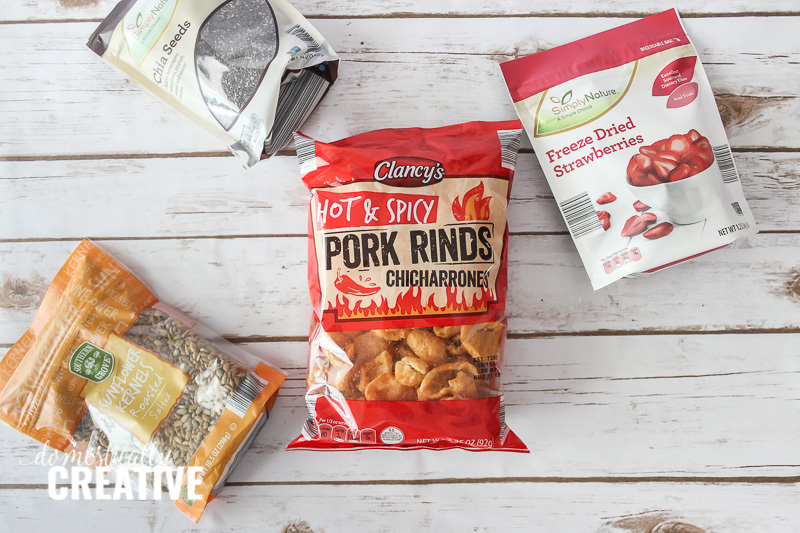 I’m always looking for new foods to try! I love Aldis & buy the majority of our groceries there. So many healthy good choices. You & your husband are an inspiration! Yes, Aldi is amazing and so affordable! Thank you Jenny! Thanks Rachael! I have never heard of quark I will have to look for it the next time I go! My husband really misses yogurt, and sometimes when we visit family we will go to Kroger and pick up their carbmaster yogurt. Not exactly Keto, but so very good and only 5 net carbs. Thanks for the tip I’ll check it out! This is an awesome guide and congrats to you and your husband on the weight loss. Thank you for sharing with us this week at Celebrate Your Story, and I hope your week is going great. Scheduled to pin and share! 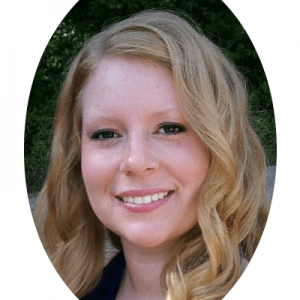 Thank you for bringing this helpful post to the Hearth and Soul Link Party, Amanda! An ALDI is being built in my town and I am so excited. I am prepping to begin a KETO way of eating so this list will come in so handy. Thank you! You will LOVE having Aldi! Glad this list helped give you ideas and good luck on your new Keto lifestyle! Perfect keto is on your page what have you bought from there? Hi Rob! I’m not sure I know what you mean. I have not referenced Perfect Keto in this article. It’s possible you may have seen an ad displaying on my site for Perfect Keto. Why don’t you eat greek yogurt? Hi Amanda. We love Aldi’s and are new to Keto. Can we have any brand of Aldi’s Salsa that is Keto friendly? You would want to check the ingredients and nutritional facts as some salsas are higher in net carb counts (and include fillers). I generally buy their Simply Nature brand. Hi thanks for the list from Aldi’s, I’m dairy free beacause I suffer from acne. I will like to try this keto diet to loose my baby weight and clear my face any suggestions on recipes? I love fruit I can live without it. how can I introduce fruit? Hi Stella! Dairy free may be a little bit tricky on the keto diet, but could be done. You are welcome to search through my low carb and keto recipes here and make alterations for dairy free (mostly just omitting cheese because we are cheese freaks!) You could also do a search on Pinterest for dairy free keto recipes. For fruit, we don’t exclude it completely, but instead will eat those low in sugars. Berries seem to be the lowest, and we will eat them in a protein shake or just pop a few for a quick snack. Apples and Bananas have a ton of sugars in them. Moderation is key when eating fruits.